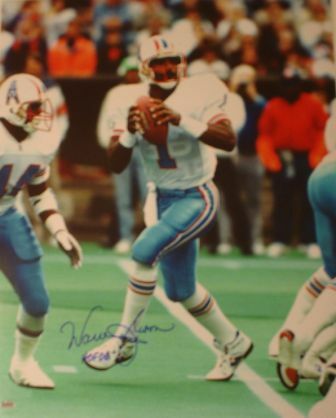 2006 NFL Hall of Famer Warren Moon has signed and inscribed this 16x20 photo featuring him playing with the Houston Oilers. It was signed during a signing with GT Sports Marketing during The National in Anaheim this July. It features a GTSM hologram and includes a Certificate of Authenticity.